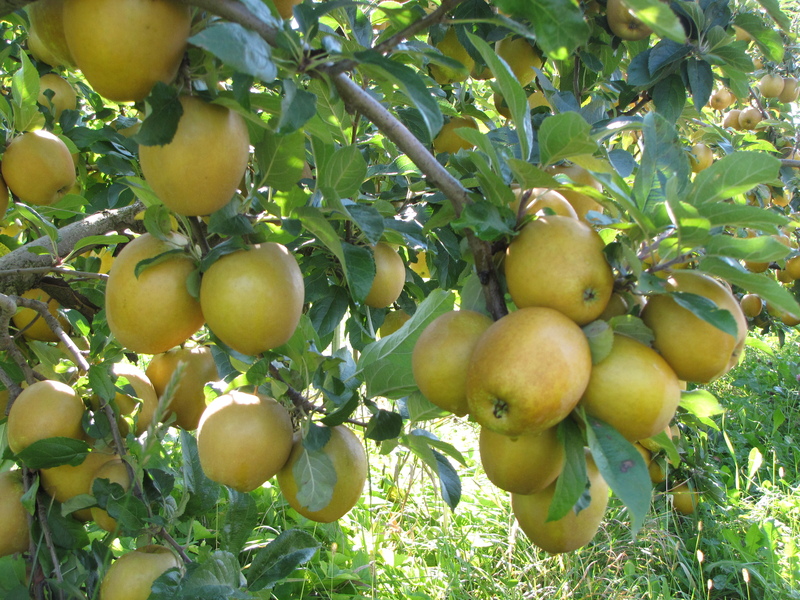 PEARS PLAY a supporting role to apples in New England. 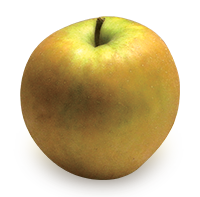 You never hear of a pear orchard with a few apple trees; it’s always the other way around. 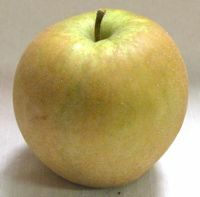 Several apple varieties are described as having a pear-like flavor, notably Gala and Hudson’s Golden Gem. 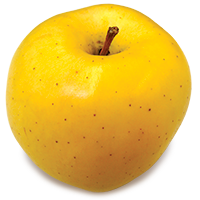 The mellow taste of pears works well with apples in many desserts as well. 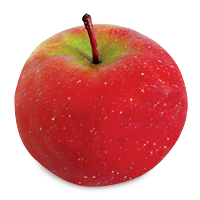 It’s one of the many virtues of apples that they combine so well with other foods. 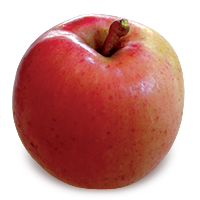 When you consider the wide range of apple flavors from sweet to tart, it means that an imaginative cook can achieve a wide range of tastes. 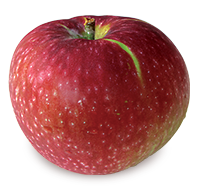 We recently added an Asian pear and a handful of cranberries to Grandmother’s Apple Crisp, after starting with six different varieties of apples. 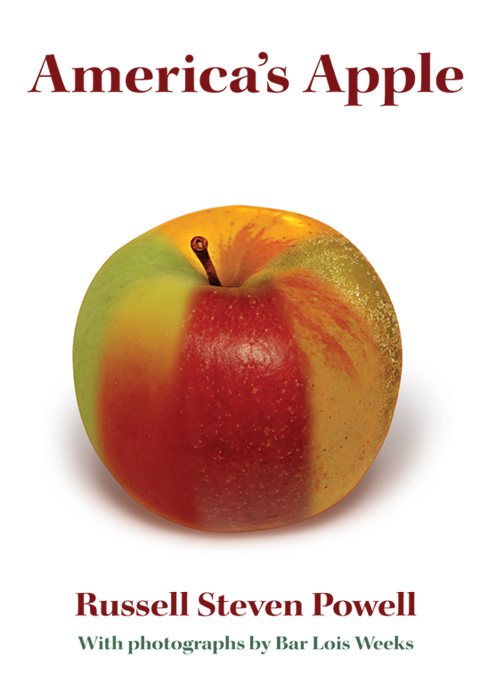 The result was colorful and delicious, with plenty of sweet and tart highlights. 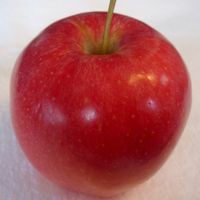 The apples span a century of horticultural development and, while none of them are native to our region, today they are widely cultivated in New England’s orchards: Macoun (New York, 1909), Hudson’s Golden Gem (Oregon, 1931), Gala (New Zealand, 1934), Empire (New York, 1945), Honeycrisp (Minnesota, 1961), and Shamrock (Canada, 1992). 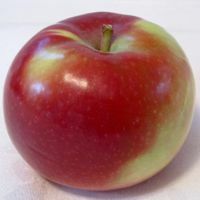 Gala and Hudson’s Golden Gem gave the apple crisp its sweetness, and they augmented the pear flavor; Shamrock added tartness. 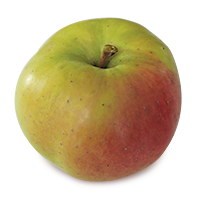 Hudson’s Golden Gem and Honeycrisp supplied ample juice, and Empire and Macoun imparted spice and aroma to the crisp. 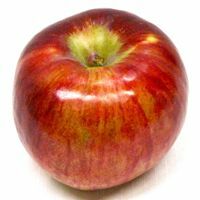 For good reason, Honeycrisp has become a prized apple in New England in just 20 years since it was first released commercially. 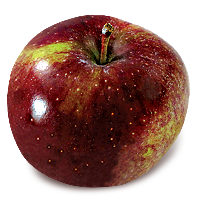 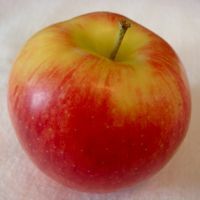 It is an exceptionally juicy and crunchy apple, with just enough tartness to give it a distinctive bite. 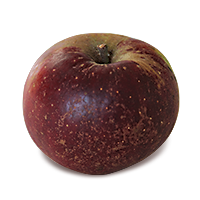 It has become as sought-after for fresh eating as Macoun, is excellent in salads, and is a good addition to many baked desserts. 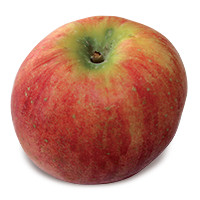 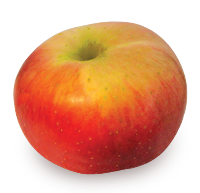 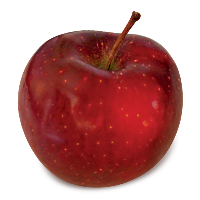 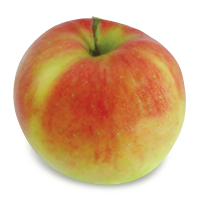 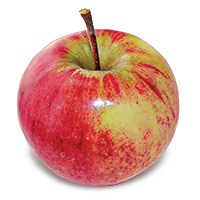 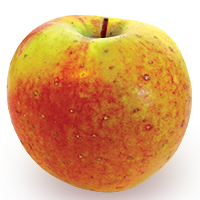 It was originally believed that Honeycrisp was a cross of Macoun and Honeygold. 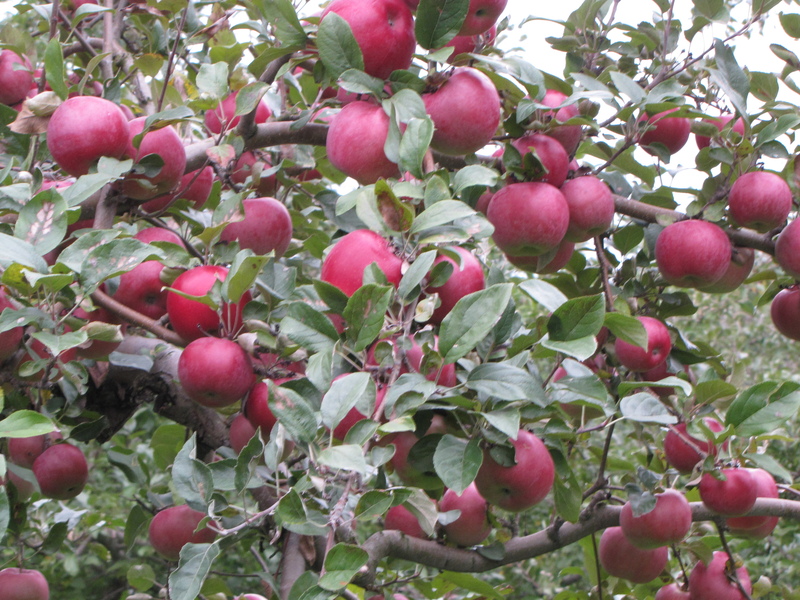 But DNA testing has since shown that the records of the University of Minnesota’s Horticultural Research Center, where the original seedling was planted in 1962, were inaccurate. 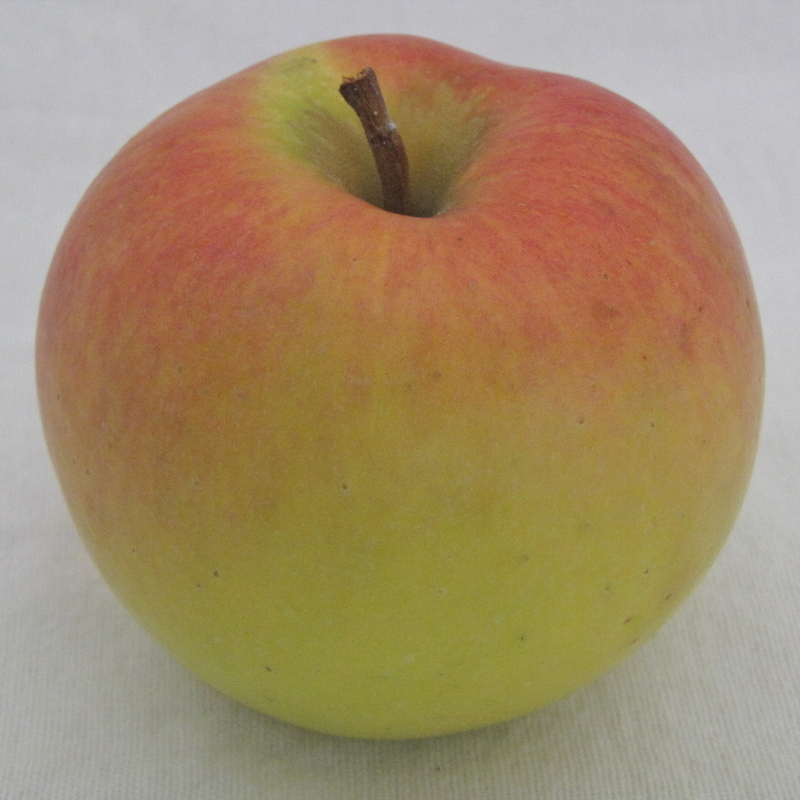 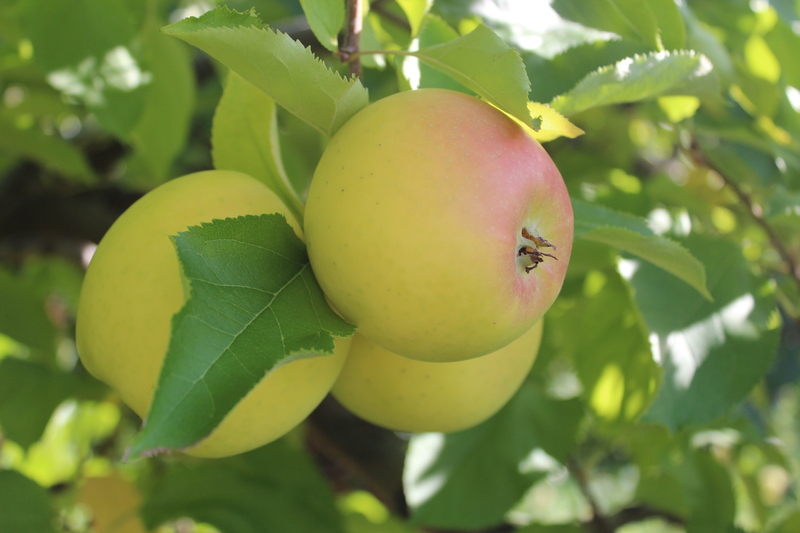 Honeycrisp’s parentage turns out to be Keepsake crossed with an unnamed seedling. 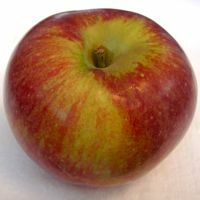 Confusion about its origins has not stopped Honeycrisp’s meteoric rise since it was introduced commercially in 1991. 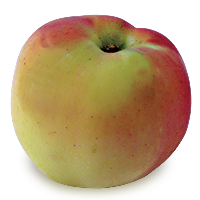 Hudson’s Golden Gem was introduced by the Hudson Wholesale Nurseries of Tangent, Oregon, in 1931. 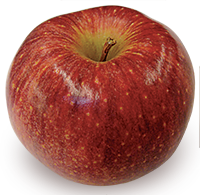 It is a very juicy apple, and some consider its sweet, nutty, pear-like flavor superior to Gala. 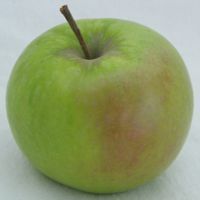 Despite these desirable traits, Hudson’s Golden Gem popularity has languished, perhaps as a result of the heavy russeting on its greenish skin. 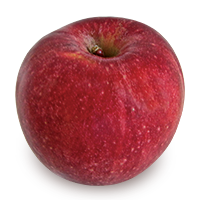 You may prefer a smooth, shiny skin on your apple, but if you enjoy a sweet apple with lots of juice, Hudson’s will not disappoint. 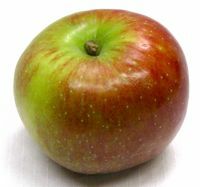 Shamrock is a new apple, originating in British Columbia in 1992. 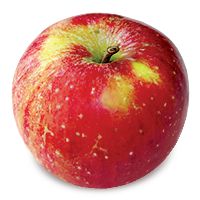 To date, it has not been as well-received as Honeycrisp. 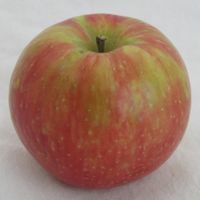 But we predict a bright future for this green apple with a pink blush, as an East Coast alternative to Granny Smith, which requires too long a growing season to be widely cultivated in New England. 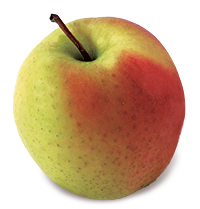 The main reason for our optimism is Shamrock’s highly unusual flavor: tart and crisp, with strong hints of butterscotch. 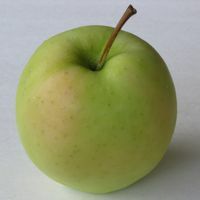 Its flesh is a creamy light green. 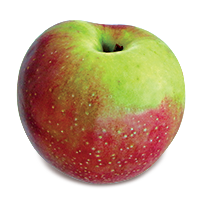 Good for both fresh eating and cooking, Shamrock is an outstanding choice to include with other varieties in pies, crisp, and sauce. 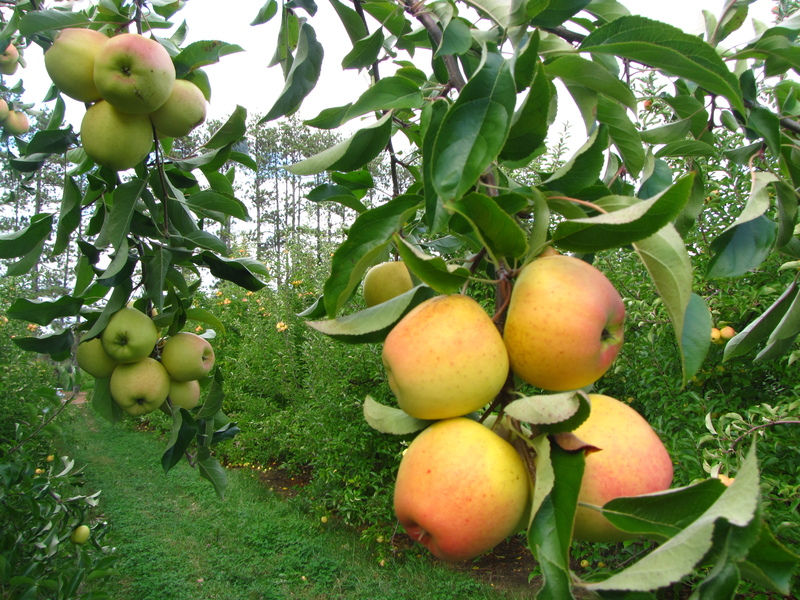 Bartletts, Boscs, and Asian pears are the varieties most commonly grown in New England. 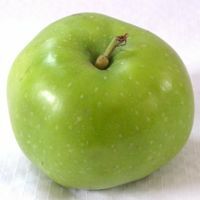 Any of them will work well in this recipe. 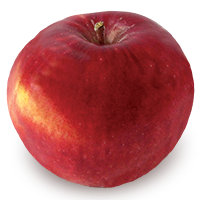 Preheat oven to 350˚. 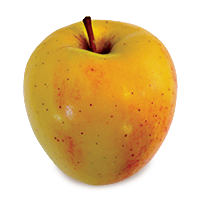 Core and slice apples and pear into a buttered 8” square pan. 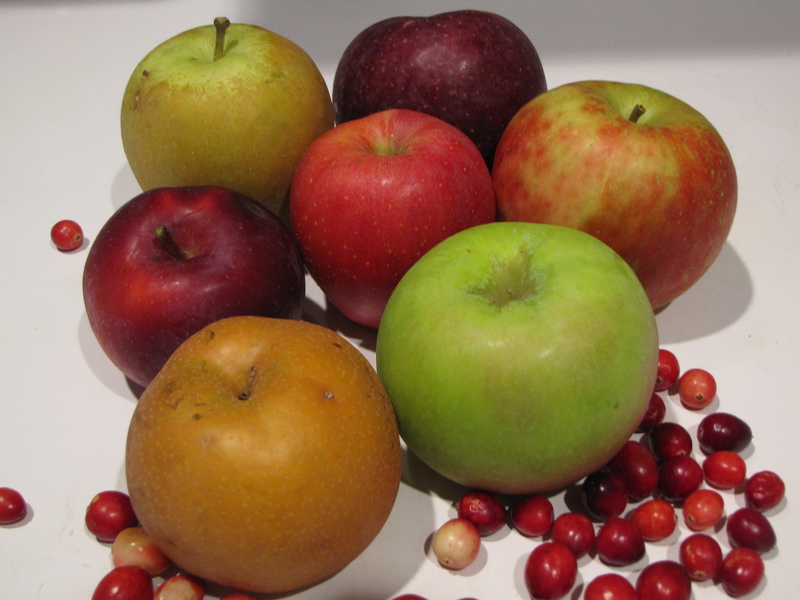 Sprinkle cranberries, lemon juice, and spices over the apples. 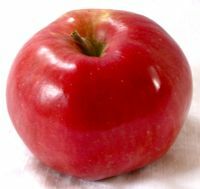 Combine topping ingredients to cover the apples. 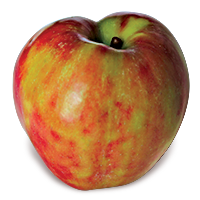 THIS WEEKEND presents several opportunities to sample New England apples around the region, old and new. 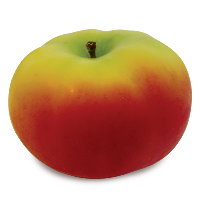 Here are three; check your local orchards for other tastings. 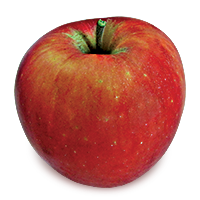 October 22-23: Mount Wachusett in Princeton, Massachusetts, hosts its 28th annual AppleFest, where a number of varieties provided by Red Apple Farm in Phillipston will be available for sampling. 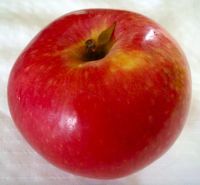 October 22-23: An heirloom apple tasting event will be held at Alyson’s Orchard in Walpole, New Hampshire, from noon to 3 p.m. 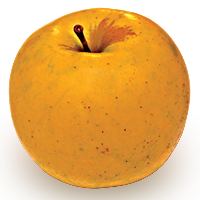 They have a good supply of Hudson’s Golden Gem, among many others. 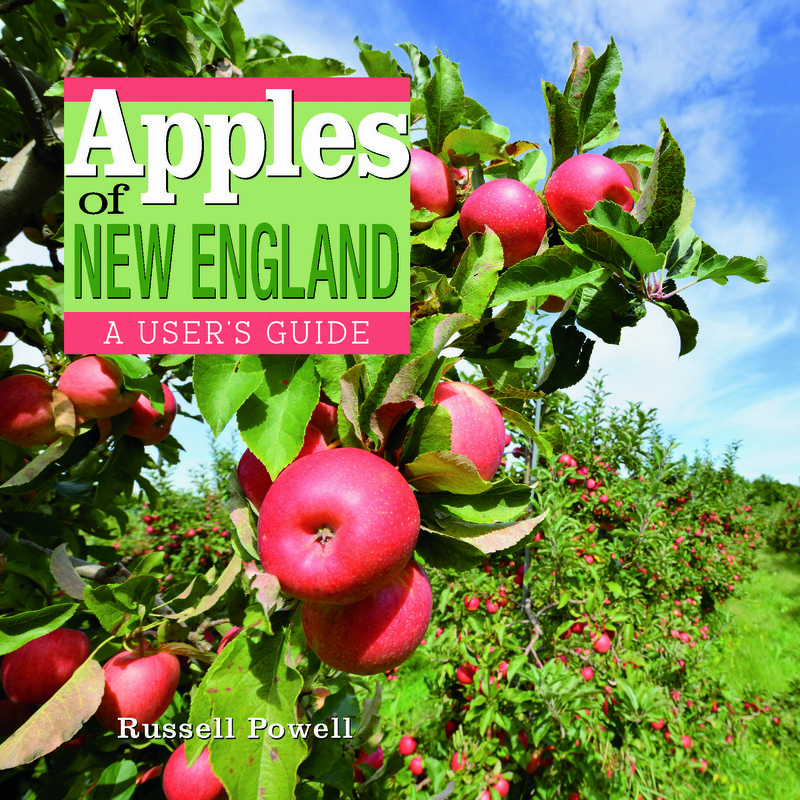 October 22: Russell Steven Powell and Bar Lois Weeks of the New England Apple Association will make a presentation about the region’s apples at the White Memorial Conservation Center in Litchfield, Connecticut, at 2 p.m. Refreshments will include apple pie and cider. 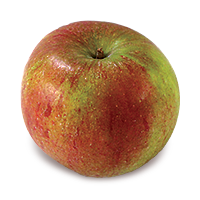 ANOTHER WAY to learn about apple varieties grown in New England is to view our three-part series describing them, featuring Chuck and Diane Souther of Apple Hill Farm in Concord, New Hampshire. 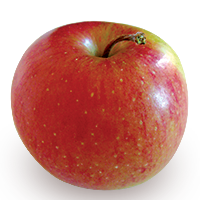 One of the videos is below; the others can be accessed at New England apple varieties. 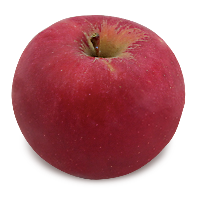 In addition to the videos, you will find photographs and descriptions of more than 100 varieties grown in the region.